Monday night was an exciting night for employees and community members at Spectrum. 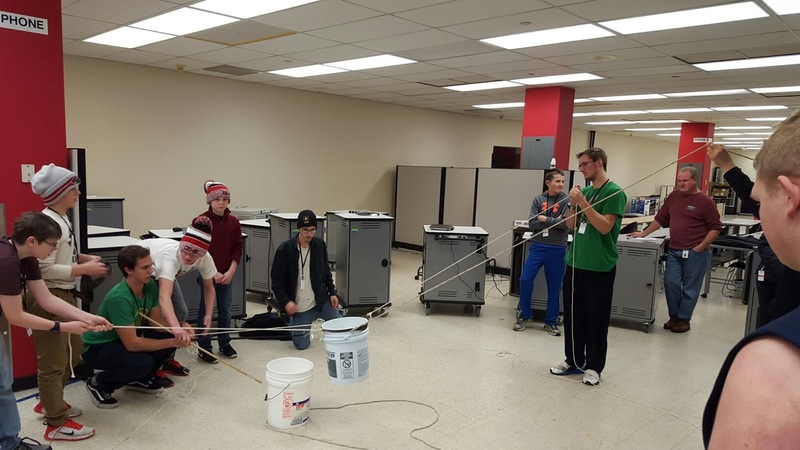 15 students ranging from 8th-12th grades from a variety of local school districts attended a Chippewa County Explorer Program (CCEP) event here at Spectrum. This past Monday students worked with Spectrum employees to learn about what goes into product development. Here the students are shown doing an activity that relates to team work, communication, and integrating those ideas into the product development process. In addition to all of this, participants will receive soft skills training such as how to conduct themselves in an interview and how responsible, productive employees should act.